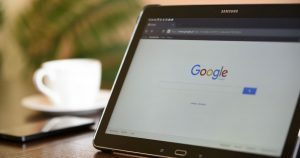 Tech giant Google has introduced shortcuts on the Google Search app for Android, iOS and Google.com on the mobile web that gives users the ability to explore deeper within topics they care about. “If you’re looking for fun, there are shortcuts like tic-tac-toe, roll a die, animal sounds, solitaire and always a Google favourite: I’m feeling curious,” said Tamar Yehoshua, vice-president, Product Management, Google, in a blog post. With a tap on the entertainment shortcut, users can see what’s playing this weekend at local theatre or what to watch on TV. They can also get the latest news. “To find the most timely and recently used shortcuts, make sure your Google app is updated to the latest version and then look for your shortcuts right underneath the search box,” the post read. Time Management: Why And How To Teach Your Kid?